Get to Geary's before they're gone! 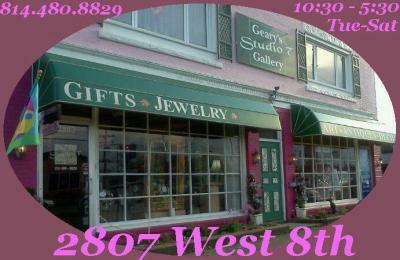 After seven years in business in the prominent pink building located at 2807 West Eighth Street, well-known and popular westside art gallery Geary's Studio 7 will close their doors for the final time on the day after Christmas; the building was recently sold and will host new tenants sometime soon. "I'd like to thank everybody who has supported us," said Mary Kay Geary, artist and owner of the gallery. "I have people have have who come in every single holiday and every single special occasion over the years, people who have supported us from day one, and they are very special to us." But fear not, local art appreciators - plans to repoen in a new location are already in the works. 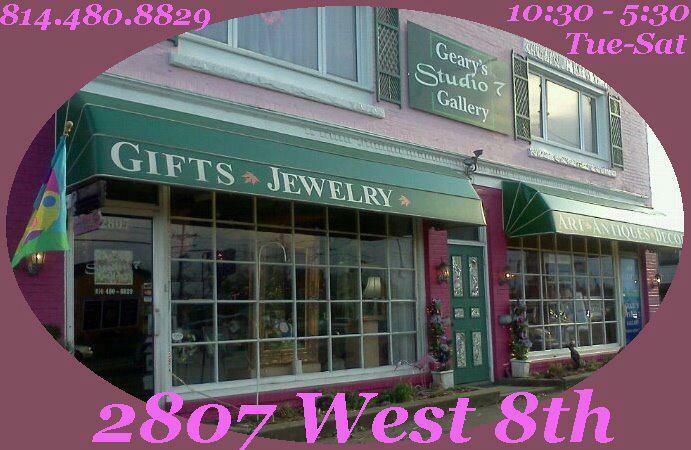 "My plan is to secure a new space by April and re-open by May 1," Geary said. In the meantime, she plans to spend her free time looking for that new space, as well as creating the artwork she is known for. "I'm looking forward to painting uniterrupted; I'm really looking forward to it." Regular gallery hours are from 10:30 a.m. to 5:30 p.m. Tuesday through Saturday; the gallery will close at 3 p.m. on Christmas Eve, and re-open on Wednesday, Dec. 26 at 10:30 a.m.
For more information, cal 480.8829 or find them on Facebook.